Thasnk to everyone for playing! 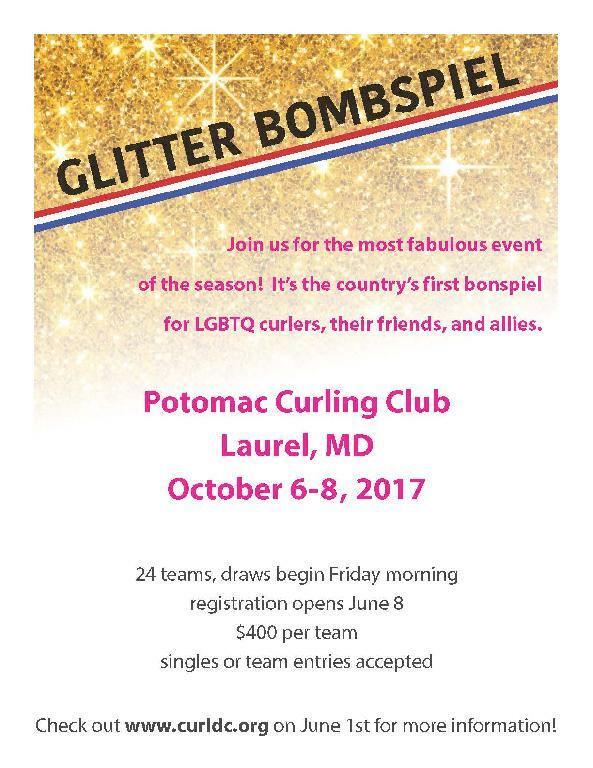 This is an adult event for curlers 18 and older. We are planning a Thursday night meet up for folks who arrive early. Saturday night entertainment and prizes! Finals will be at Noon on Sunday. * Although glitter is our theme, it can be detrimental to the playing conditions. Please, no actual glitter at the event. If you don’t have a full team, you are still welcome to register. We will pair you up with other single entrants. There will be an indicator on the registration form if you are a single or incomplete team. Note: Please ONLY use this option for incomplete team entries or single entrants. Full teams should enter together.